Shakey Zimmerman brings an authentic, true-to-form sound to welcoming crowds. 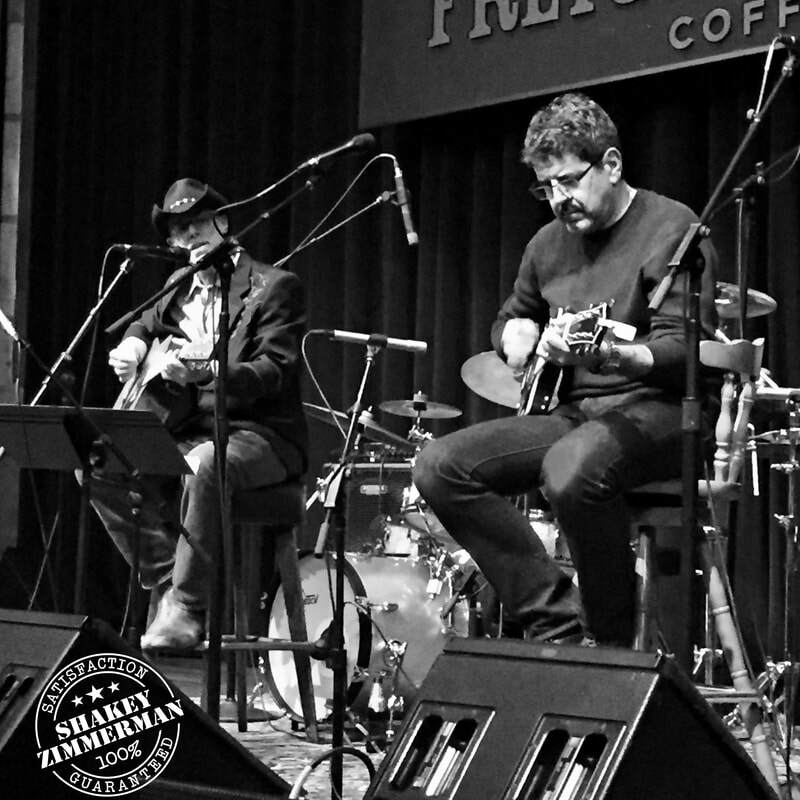 The acoustic/electric duo, or full band, performs the most famous songs of Bob Dylan and Neil Young. Audiences will surely recognize and enjoy every song played. Pat Nevins leads the band on guitar, vocals, and harmonica. Nevins has an uncanny ability to channel both artists. Pat convincingly delivers the songs of these two rock-n-roll legends, while giving them his own stamp. Shows are packed with songs full of grit and attitude, and appeal to all generations and audiences. The group is rounded out by the fingerpicking expertise of guitarist Jody Salino. Salino's guitar techniques, along with Nevins' vocals is sheer magic. ​The band is professional, friendly, and takes great pride in fitting in well with all the needs of the audiences and event/venue staffs. We are based in the San Ramon Valley. As an acoustic duo and as a full acoustic/electric band, in configurations from 4 to 6 piece, we have performed at many festivals, clubs, theaters, vineyards, private and corporate events.